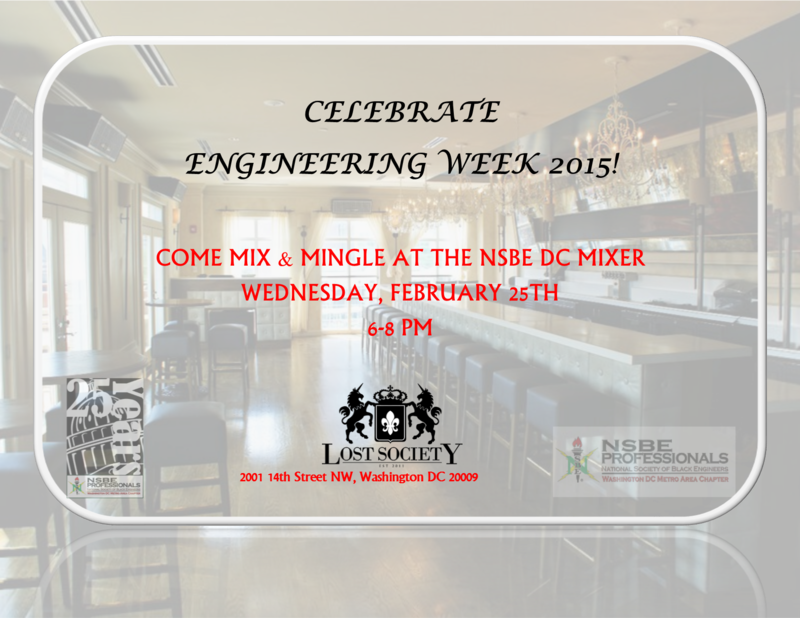 Join the National Society of Black Engineers, Washington DC Metropolitan Area Chapter (NSBE DC) as we kick off our Engineering Week 2015 Festivities with social and community service minded activities! Join other technical and non-technical professionals from various groups throughout the DC area as we mix, mingle, and network through the evening! Requested donation: $25 towards our 25th Anniversary Campaign for raising monies for our Future Innovators Scholarship Campaign! The event is free but we request that you register here today!